San Diego, California based FileMaker Pro consultant. The FileMaker Database Directory helps you find the best available FileMaker resources you are seeking by providing you with highly relevant and specific results, which include the categories tools, tutorials, and developers etc. FileMaker related site containing news, reviews, features, and tips. Makers of software that allows faxing from FileMaker and emailing of FileMaker Pro layouts. Development firm offering FileMaker Pro consulting and support. Offering FileMaker tips and advice for FileMaker developers. Offers both Filemaker hosting an development services for FileMaker 4 through 8. FileMaker Pro developer offering many FileMaker tips to other developers. Free online tool to check the security of FileMaker Pro databases that are published on the web. FileMaker Pro development firm specializing in training and high-end FileMaker projects. FileMaker Developers with excellent knowledge of Filemaker. Familiar with CDML, Lasso, FMP to SQL, and Plugins. FileMaker Pro online community, forum, help, templates, training, and news. Updated daily. FileMaker developer offering free and commercial templates for download. Specializing in custom FileMaker development and FileMaker consulting. Focusing on the LAN environment for both the Mac and Windows platform. An online usergroup for questions, answers and basic support for FileMaker Pro users and developers of all experience levels. Hong Kong based FileMaker database and website solution provider. Site provides links to sample FileMaker enabled websites and trial software available for download. FileMaker Pro magazine published bi-monthly. Selected articles and example files available online for download. International FileMaker Pro consulting firm. Site includes client list, sample solutions, resources and a list of other FileMaker related sites. Electronic FileMaker magazine includes hands on tutorial and template files. Offering FileMaker 6 Unlimited and Filemaker 8 hosting since 1998. Also hosting Lasso applications. FileMaker Solutions Alliance member providing custom FileMaker database design, consulting, and training services in the greater Boston area. Provides some tips for using FileMaker Pro. Shortcuts, performance, and other items are discussed. Review with the Filemaker point of view. Answers to problems described by site visitors while using FMPro. The questions touch many aspects of Filemaker like repeating fields, calculation fields, record level access, layouts, value lists, CDML, summaries, portals, relationships and exporting data. FileMaker 7 and 8 hosting. Tools for enhancing Web usage of FileMaker Pro 3.0 and 4.x. Offering FileMaker hosting in London. Offering web design and FileMaker Pro development. If the business hours of Fenton Jones Consulting in may vary on holidays like Valentine’s Day, Washington’s Birthday, St. Patrick’s Day, Easter, Easter eve and Mother’s day. We display standard opening hours and price ranges in our profile site. We recommend to check out fentonjones.com/ for further information. 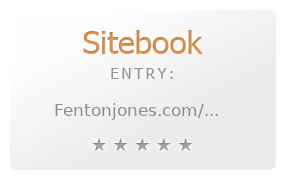 You can also search for Alternatives for fentonjones.com/ on our Review Site Sitebook.org All trademarks are the property of their respective owners. If we should delete this entry, please send us a short E-Mail.